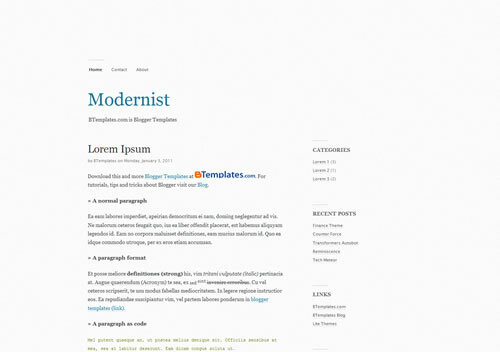 Modernist is a 2 columns free blogger template, right sidebar, minimalist and neutral colors. 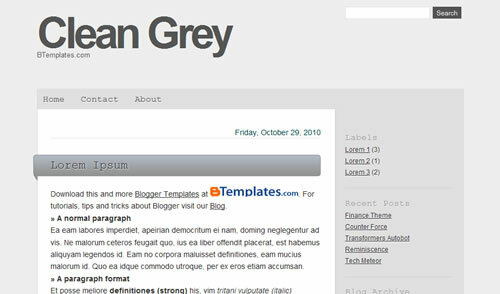 Clean Grey is a free blogger template with 2 columns, right sidebar, rounded corners, minimalist and simple look. 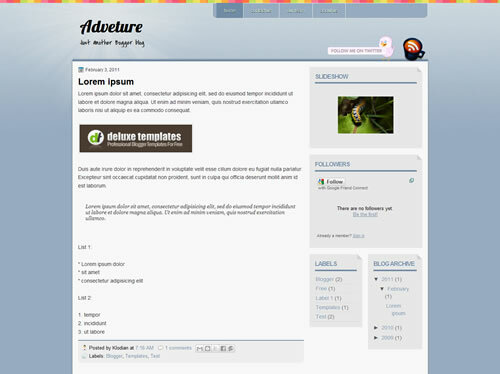 Adventure my favorites Blogger template. The pleased colors and nice twitter and rss buttons on right make it a free premium. 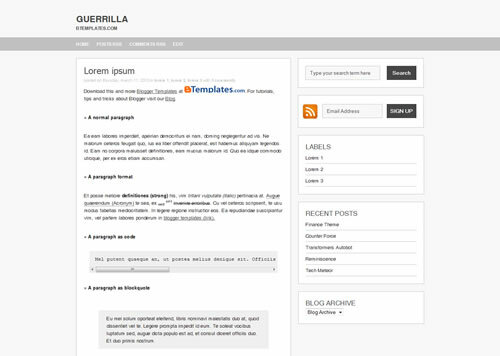 Features: 3 columns with 2 right sidebars, widgets ready, font and colors customizable, twitter, rss. 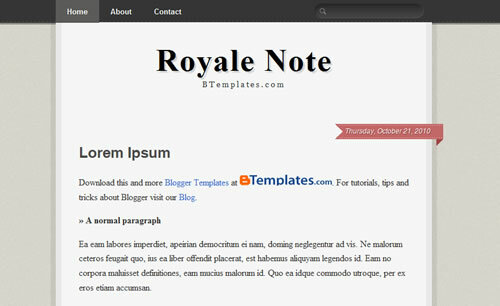 Royale Note is a 1 column, minimalist and simple look free blogger template. 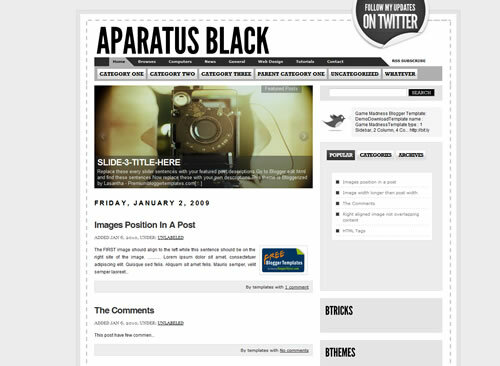 Aparatus Black is a 2 column, right sidebar, fixed width, ads ready, clean and simple look free blogger template. 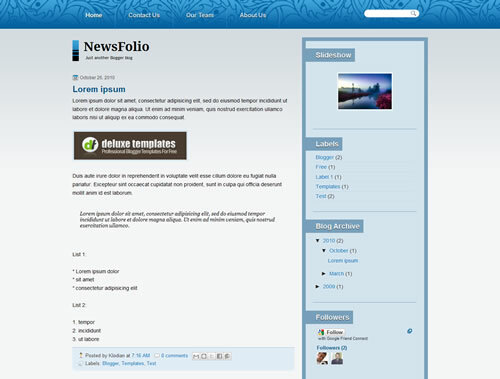 NewsFolio is a 2 columns, right sidebar, blue and grey colors, widgezed ready, fully customizable, search box, simple Blogger template but with a modern look. 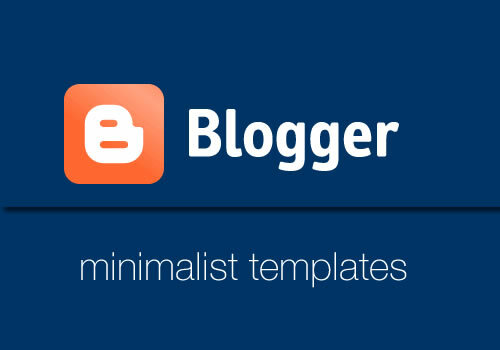 If you are looking for a minimal, fast loading template this is a right choose. 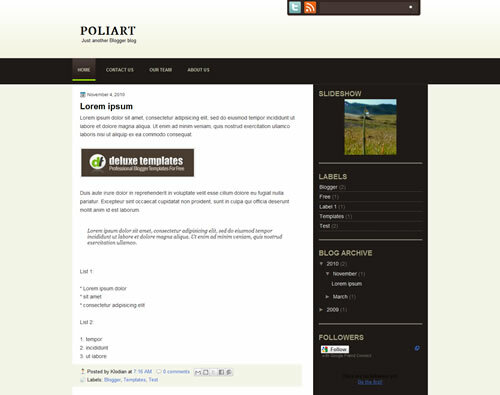 PoliArt is a 2 columns, right sidebar, social icons, custom fonts, search box, simple Blogger. The nice background color and cool navigation menu make it unique. 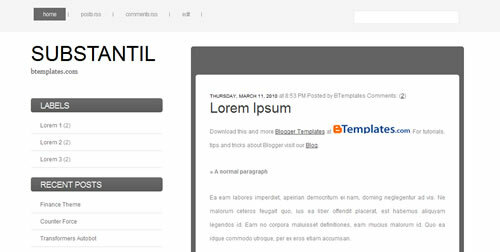 Substantil is a 2 columns, left sidebar, rounded corners, minimalist and simple look, free blogger template. Thank you Bro. for Adding my template to your list. 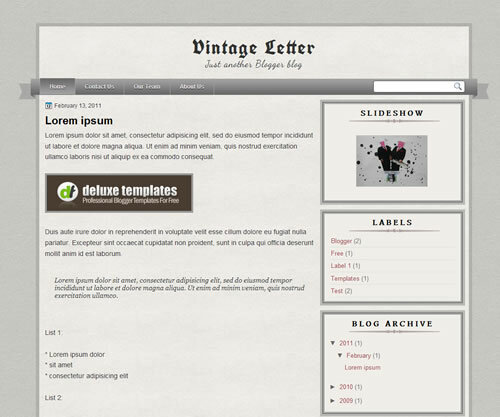 I just linked to the designer site where the template is published. You can contact Akshay Makadia for download link.